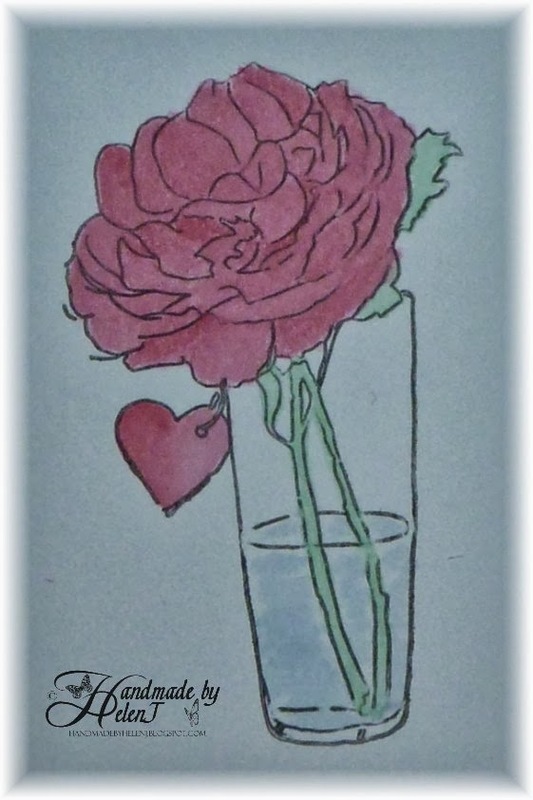 This was a quick card, inspired by the current challenge at CAS(E) this Sketch. I’m also going to enter it into the One Layer challenge at Addicted to CAS. 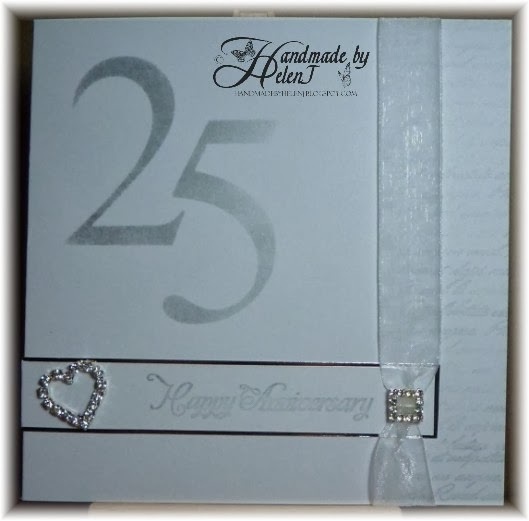 I needed a silver wedding anniversary card & decided to play along with Sketch Saturday’s current sketch; it didn’t take me long to come up with the basic idea but seemed to take forever to work out how to finish it off. I’m still not completely happy with it but it’s close enough so I decided to quit while I was ahead! 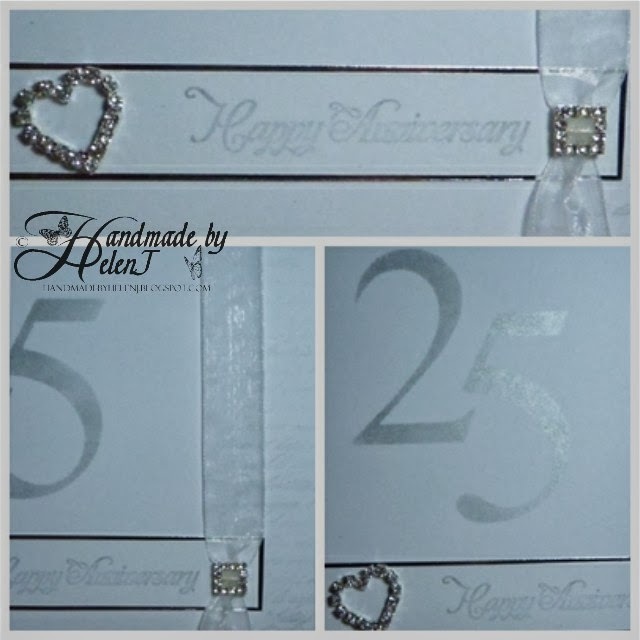 The numbers were cut on my Craft Robo Lite for my own silver wedding anniversary card to my husband. 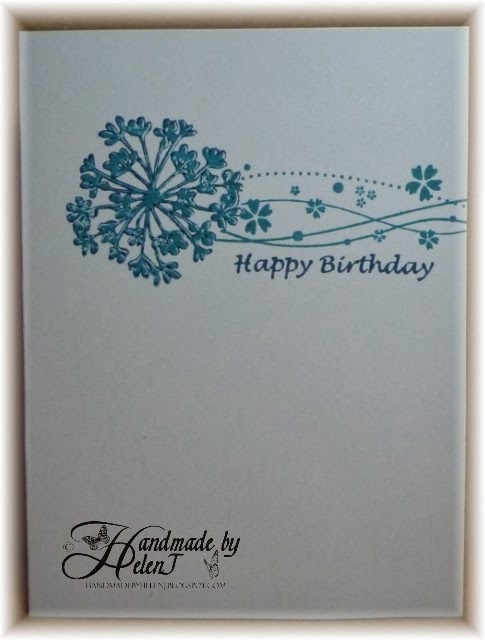 I used an Inkylicious script stamp with second generation ink for the right hand side, and the greeting stamp was from Inspired by Stamping. Very quick post from me this morning! When I get the time I love to take part in the challenges over at Addicted to CAS. The theme of the current challenge is “Transparent” and this is my take on it, the glass vase I hope meets the challenge criteria. I bought some new Aquamarkers recently so this was another test of my watercolouring skills. 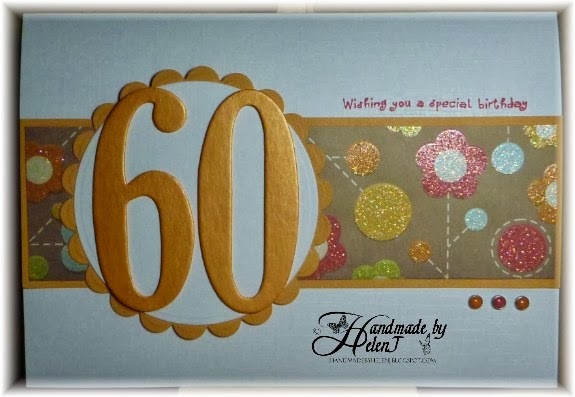 This card made use of a stamp which I’ve had for a while but hadn’t yet seen ink. 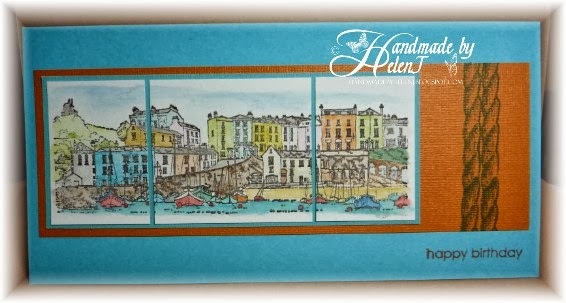 I spent a happy hour watercolouring then a frustrating two hours trying to decide how to present the finished image! I quickly decided on a triptych format for the main image but then my mind went blank. I tried lots of different options, none of which worked, until my lovely husband suggested the coloured base card which turned out to be the answer. 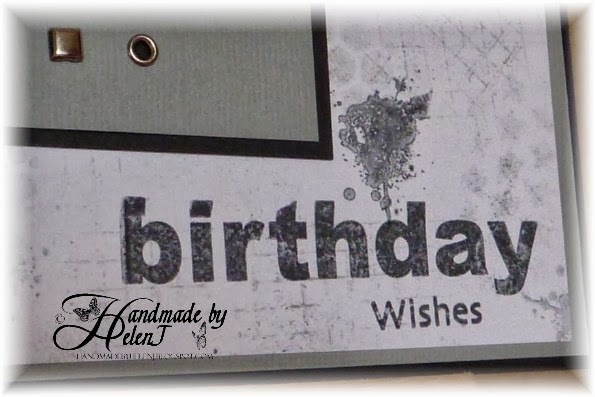 I kept it simple, using a freebie stamp from a magazine & a plain greeting. Cards for my nephews’ birthdays all tend to revolve around cricket, and this one is no exception. I don’t have very many cricket stamps, though, so I decided it was time I became more inventive with the ones I have got. 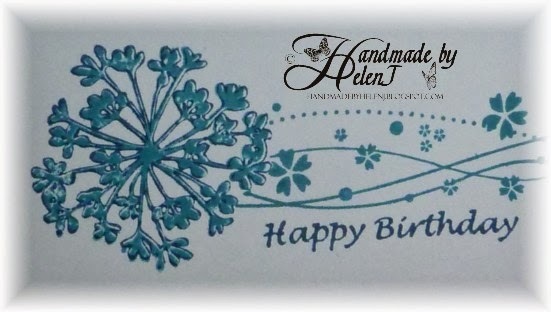 The main image was a test of my new Woodware stamp positioner to stamp 4 times without re-inking the stamp in between, therefore using the second, third & fourth generation ink. 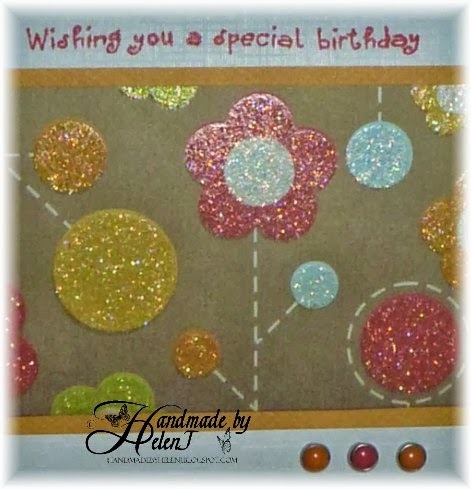 The background was created using a mix of background stamps & masks with several generations of ink. It turned out more grungy than I’d intended but I was still quite happy with it. Stamps: Woodware FRCL069, Kaisercraft, Inspired by Stamping. Two posts in one day! 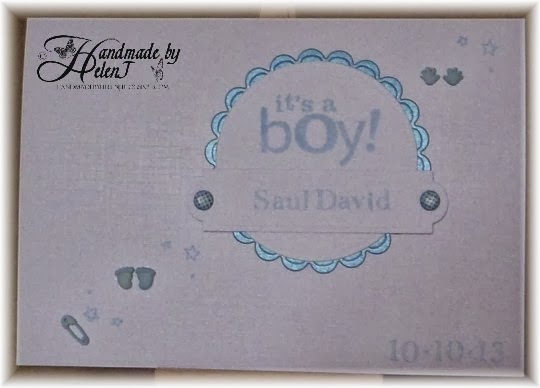 Maybe my missing mojo is finally returning . . . . anyway, we have a new addition to our family and this card is to congratulate the new Mummy & Daddy. 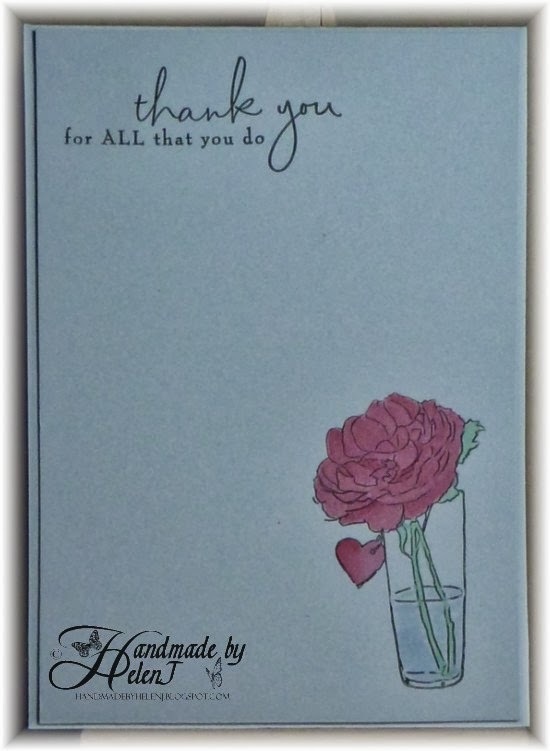 I saw the sketch at Clean & Simple Stamping & immediately knew what I was going to do, which is rare for me. 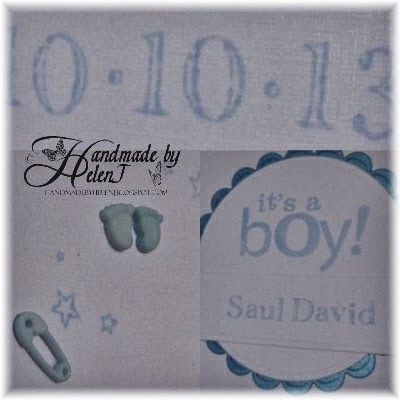 Stamps: Inkadinkado 97605 Baby Boy, Kirsty Wiseman Alpha Inline PICSA6274, Docrafts freebie. 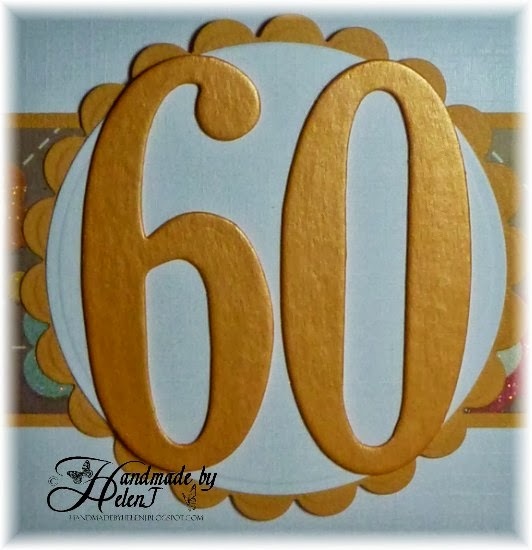 My sister-in-law turned 60 the other week. 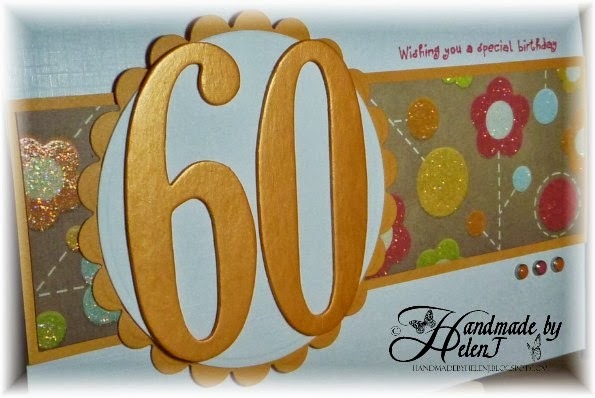 Despite looking 10 years younger than her age, she absolutely hates anybody reminding her how old she is so of course I couldn’t resist putting huge, shiny numbers on the card! 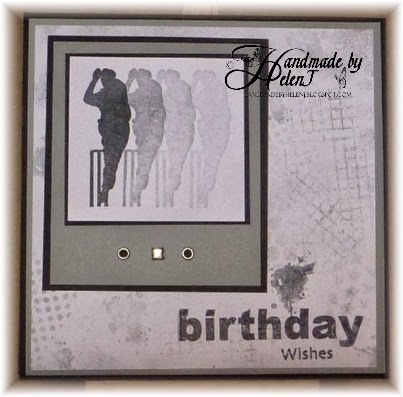 The numbers started out as covered chipboard which I painted with Imagination Crafts Silkies. The colour happened to be a perfect match for the We R Memory Keepers papers I chose. The brads were another happy accident. I don’t know the make of them but they were also a perfect match.